Interior designer Laura returns to Utah to spearhead the renovation of an old hotel in time for the annual Christmas Eve show run by Ricardo, her ex-boyfriend and dance partner. When Laura steps in to dance in the finale with Ricardo, she is pulled between her job, her family, and her reawakened feelings for Ricardo. When will enchanted Christmas play again. 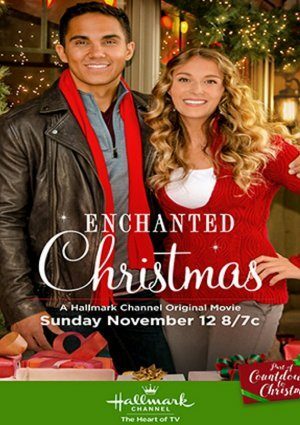 Hallmark usually repeats movies several times. I missed the first showing. Where can I find the soundtrack to the movie? I’m with you Lynn. I’d like to know as well. Did you ever find it? Hi. In the movie, Enchanted Christmas, Laura and Ricardo dance briefly in front of the restored fountain, and there are a few notes from a piece of classical music playing in the background. Can you provide me with the name of the piece?